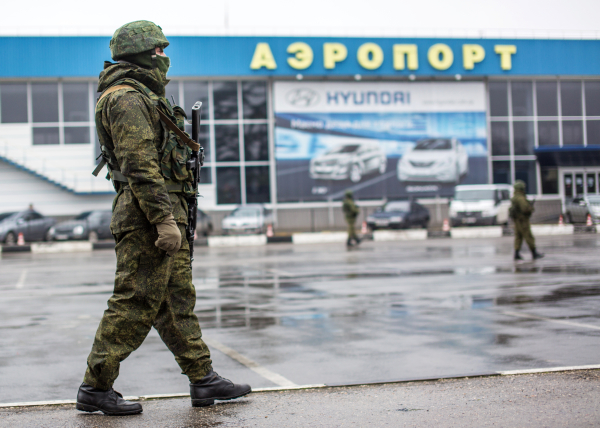 On 20 February 2014, Russia once again started the annexation of Crimea. 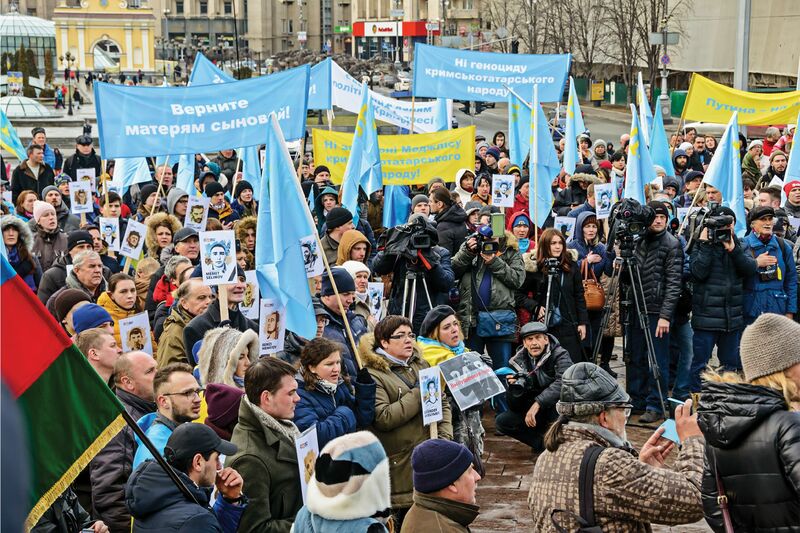 On February 26th, a resistance rally, led by Crimean Tatars, took place in Simferopol outside the Crimean Legislative Council (Verkhovna Rada). 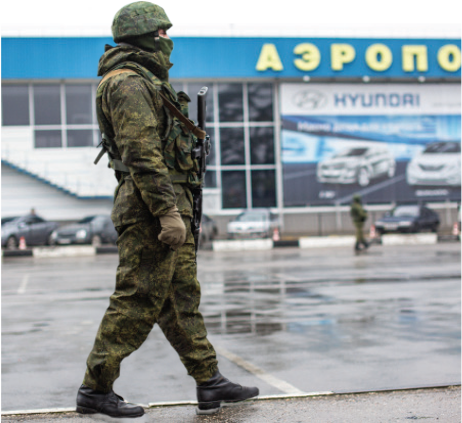 Over a number of days, unidentified Russian military personnel seized control of the peninsula. After an illegal referendum, Crimea was annexed by Russia. 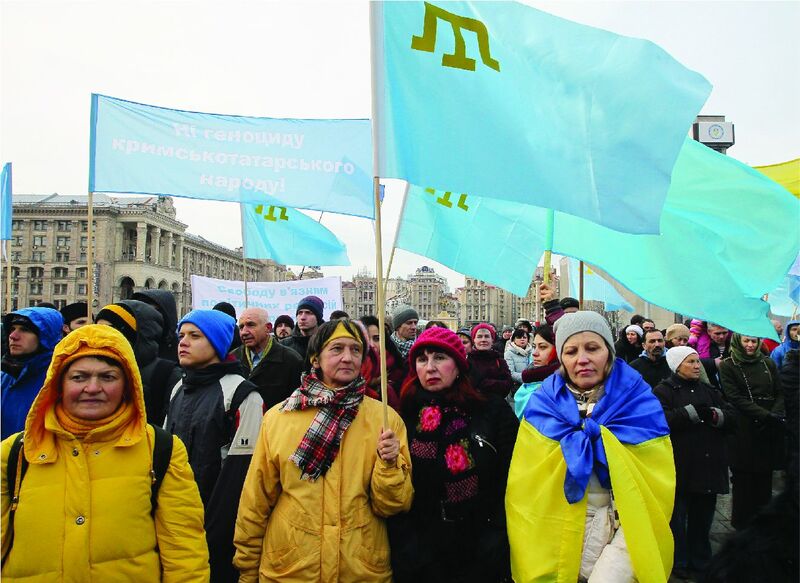 Crimean Tatars expressed active support for preserving the territorial integrity of Ukraine, and took to the streets to express opposition to the annexation of Crimea by Russia. 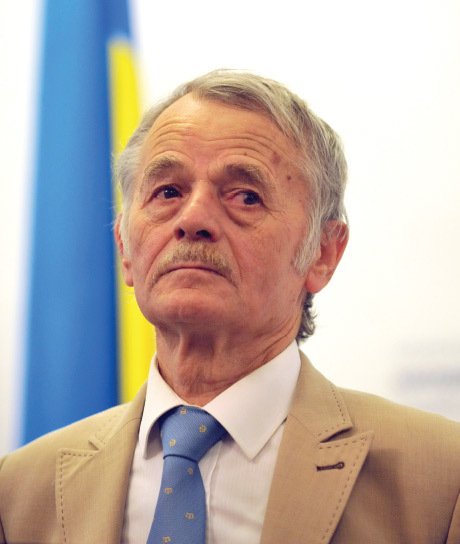 A wave of repressions aimed at Crimean Tatars began. 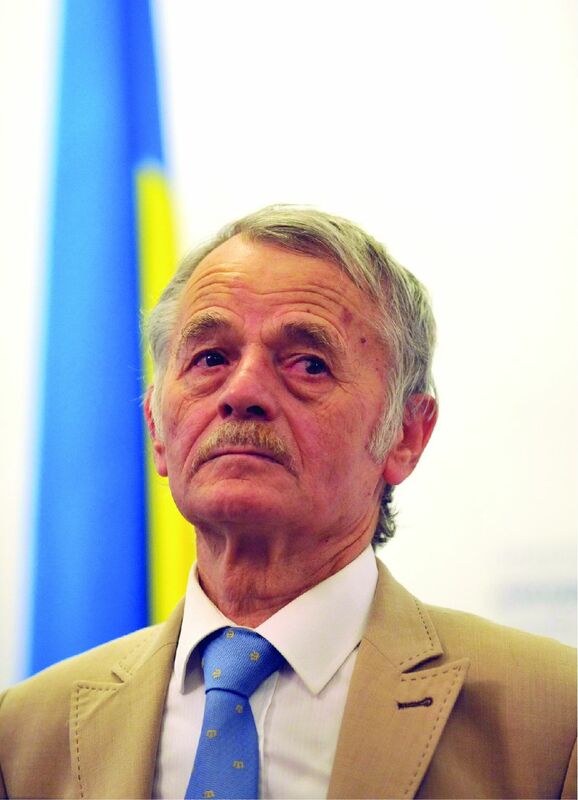 The first repressions against Crimean Tatars occurred immediately after the illegal annexation of Crimea. Eleven people went missing, and another eight were found dead. 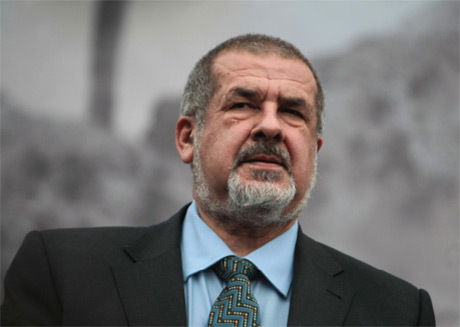 The Crimean Tatar leaders were accused of extremism. A criminal case was launched against many of them, and they were forbidden from entering Crimea. For the purpose of intimidation, the homes, mosques and madrasas of the Crimean Tatars were searched. There were detentions, interrogations and arrests. After the illegal annexation, those who refused to take Russian passports came under political, social and workrelated persecution. 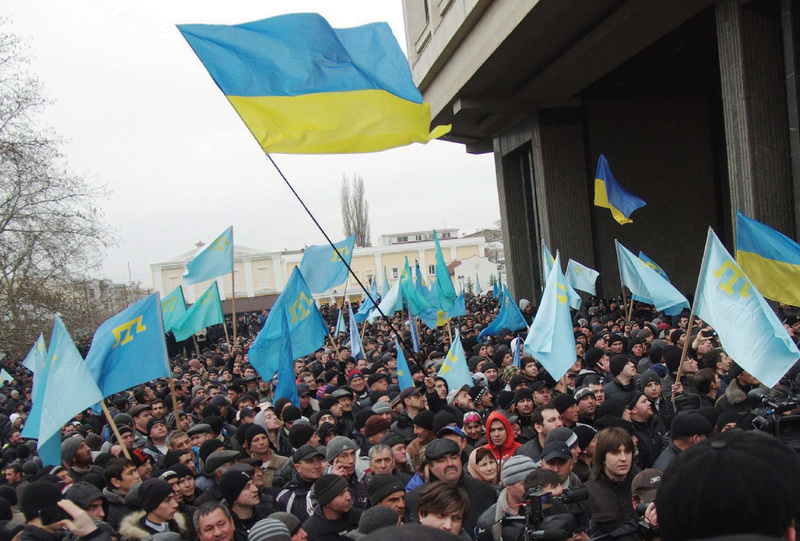 Over 20,000 Crimean Tatars were forced to resettle in mainland Ukraine. Repressions against Crimean Tatars have continued, with the occupation forces fabricating accusations and launching criminal cases in connection with the peaceful protests against the illegal annexation of Crimea. 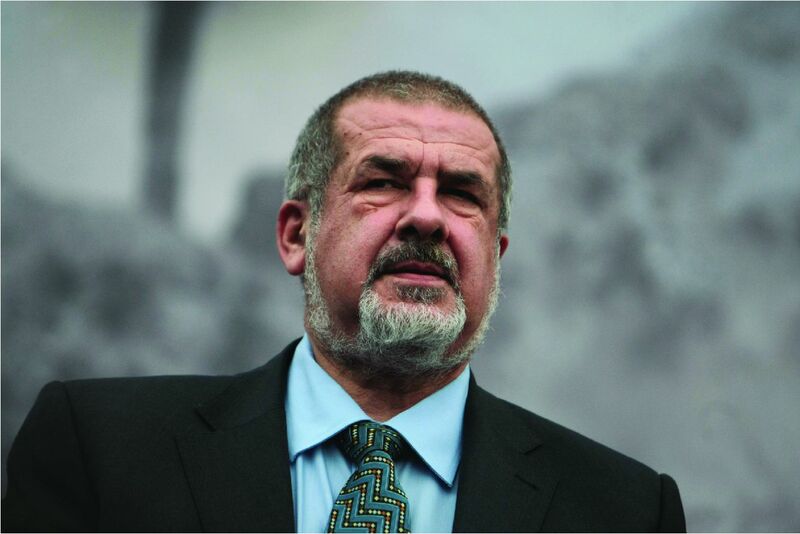 The Mejlis of the Crimean Tatar People – representative institution of indigenous people of Crimea – has been declared an extremist organisation by occupying authorities and its activities have been banned in Crimea. At the same time, many of the world’s international organisations have condemned the annexation and ongoing occupation. 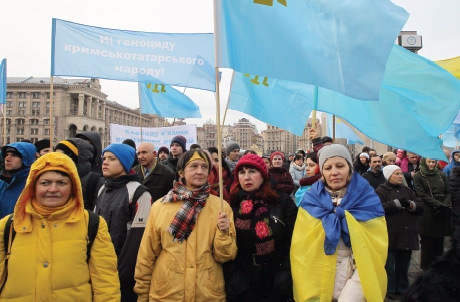 In its resolution of 12 May 2016, the European Parliament strongly denounced the decision of the putative Crimean Supreme Court to ban the Mejlis and called for the immediate lifting of the prohibition. On 19 December 2016, the UN General Assembly adopted a resolution on the human rights situation in the Crimean Autonomous Republic and the city of Sevastopol (Ukraine), denouncing the ban on the Mejlis and other human rights violations in Crimea. On 19 April 2017, International Court of Justice ordered the Russian Federation to refrain from maintaining or imposing limitations on the ability of Crimean Tatar people to conserve its representative institutions, including the Mejlis. 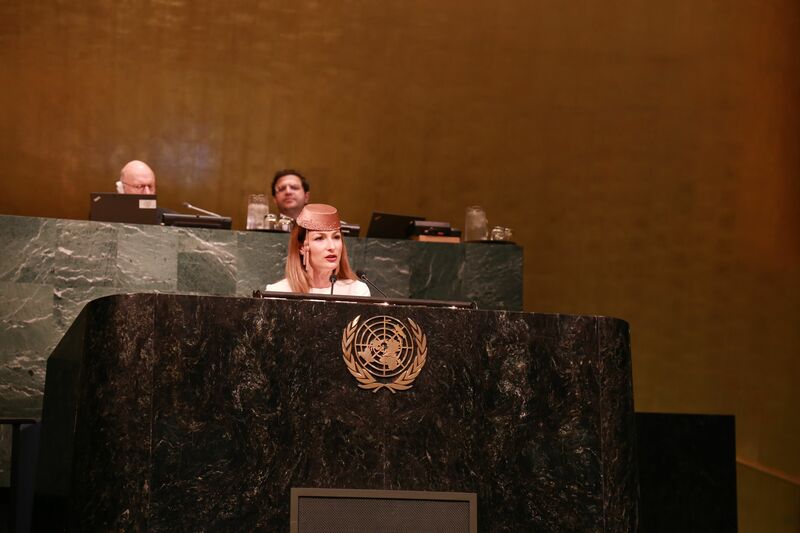 Emine Dzheppar, Crimean Tatar activist and 1st Deputy Minister of Information Policy of Ukraine, speaking on behalf of Ukraine at the high-level event of the United Nations General Assembly to mark the 10th anniversary of the adoption of the United Nations Declaration on the Rights of Indigenous Peoples, on April 25th, 2017. Photo: Elvir Sagirman.